So you’ve finally gotten the courage to become your own boss and join the hairdressing businesses, opening up your own salon. Congratulations are in order, however, it’s important not to forget it’s still hard work if you want to succeed. Especially in the hygiene department. Of course, first things first, you have to find the right location, that’s frequented, and yet still not that much surrounded by competition – nothing without tailoring a detailed business plan though. Then, it’s your job to do the necessary investments, in the likes of furniture, towels, electrics, scissors, razors, brushes, combs, bits and pieces of accessories, hair pieces and extensions, and hair care and perming products. Most importantly, don’t forget the hair salon uniforms. The reasons uniforms are essential are many. 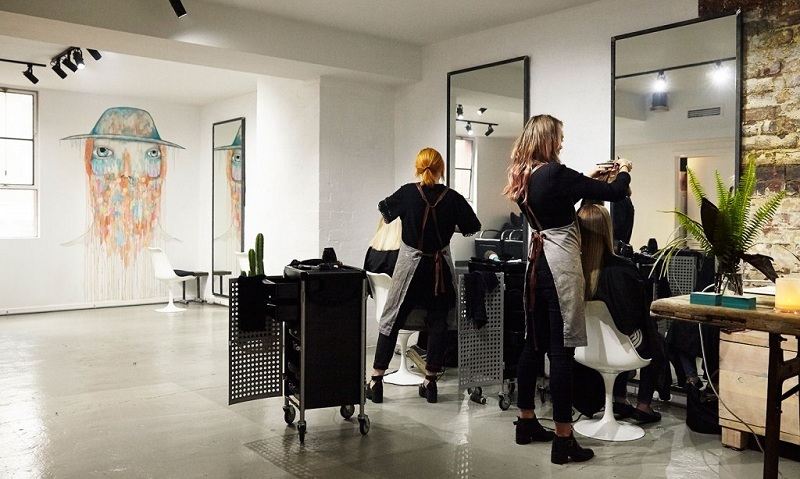 If you want to send off the right image to customers, on exactly how professional and clean your salon is, the perfect staff look is achieved with the help of hair salon uniforms, designed for both comfort and style. That can be in the form of shirts, aprons, or chinos. Although it’s a uniform look, there’s still enough space for expressing one’s personality by customising every employee’s uniform with accessories, be that embroidery patches, badges with your salon’s logo, or scarves – the choices are many, so long as uniforms are kept clean, and tidy with no stains or holes in sight. Personal hygiene is where it all starts. Moving on to the salon, it’s everyone’s job to maintain floors clean. All the hair being cut can easily cause falling accidents when not swept off in time. This way there’s also less chances for bacteria to spread around the salon. It’s needless to say this goes for the equipment as well. You have to consider it a must to clean equipment between usage. This is the case with combs, and brushes, for instance, as the tools that most come into contact with lots of clients. To avoid contamination, clean them after every use, and remember to keep them stored dry. I don’t even have to mention towels, because it’s obvious their washing is a necessity too. Flooring and tools aren’t the only parts in need of utmost hygiene; the furniture requires it too, particularly the chairs, and couches. To make sure you do the maintenance and cleaning properly, it’s advisable to purchase specialised cleaning products, so as not to cause any damages to the furniture thus avoid cracks prone to bacteria growth.